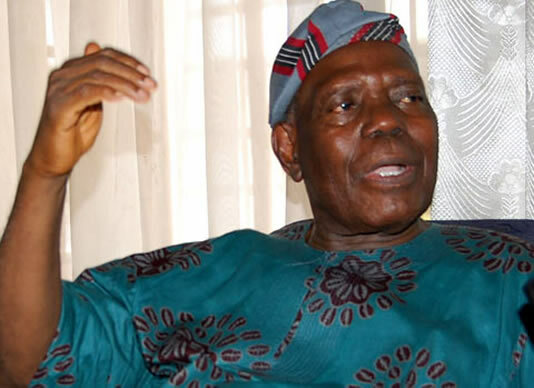 A former Osun State Governor , Chief Bisi Akande, on Thursday said he never thought he would live to see his 80 th birthday . Akande said he had thought that he would die before 50 th birthday , adding that in order not to be caught unawares , he rushed to achieve all his ambitions before clocking the golden age . Akande was elected Osun State governor in 1999 with Chief Iyiola Omisore as the deputy governor. But the relationship between the duo ended on an acrimonious note with the impeachment of Omisore in 2002 . Since then , the two had never associated openly . However , the venue of a civic reception organised for Akande to mark his 80 th birthday in his Ila country home, erupted in applause on Thursday when Omisore arrived with his entourage and greeted Chief Akande and others seated with him . Also in attendance at the event were the Minister of Health , Prof . Isaac Adewole ; Governor of Ekiti State , Kayode Fayemi , represented by his deputy , Chief Bisi Egbeyemi ; Osun State Governor, Mr Gboyega Oyetola; his deputy , Benedict Alabi; a former Osun State Governor, Rauf Aregbesola , and the Nigerian ambassador to Togo , Sola Iji , among others. Akande, who could not hold back tears , as a birthday song was rendered for him , said his fear of early death was based on how his parents died . Akande said , “ My father died when he clocked 50 years , while my mother died at the age of 45 . This made me to conclude that early death runs in my family . “ In order to achieve all my ambitions , I did everything in haste . When I eventually clocked 50 years , I started slowing down. “ I thank God that I live to see this age . In his remarks , Oyetola described Akande as incorruptible man of integrity , who never used his position in the All Progressives Congress to influence government .